Fixed maturity plans are schemes launched by mutual funds that come with a clearly defined tenure. Lower-than-expected hikes in interest rates on bank fixed deposits and the lukewarm returns offered by bond funds make fixed income investors hunt for other options. 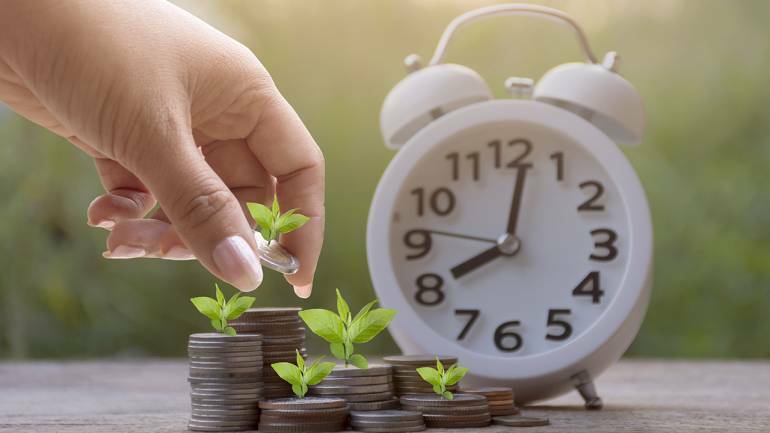 Fixed maturity plans (FMP) lined up by mutual fund houses such as ICICI Prudential, Aditya Birla Sun Life, DSP Blackrockand Reliance make investors wonder if they should bite the bullet. In search of earning more returns than that offered on fixed deposits, where should the investors go – short-term bond funds or the fixed maturity plans? What do fixed maturity plans offer? Fixed maturity plans are schemes launched by mutual funds that come with a clearly defined tenure, say three years. The idea behind the theme is to invest in bonds that mature in line with the maturity of the scheme and return the money along with gains to the investors upon maturity of the scheme. These schemes invest in bonds, while some prefer to stick to AAA-rated bonds, the riskier versions go for AA-rated securities as they are keen on extra returns. “FMPs generally deliver returns which are close to the prevailing yields on securities for a given target maturity at the time of investment, minus expenses. The product is ideally suited for conservative investors who are not too keen to invest in products which are managed by taking an active view of future rates and yields,” says Kumaresh Ramakrishnan, Head – Fixed Income, DHFL Pramerica Mutual Fund. To make it simpler, if AAA-rated securities maturing in three years offer 8% yield, then accounting for an expense of around 50 basis points, one should expect 7.5% return in-hand before tax. If the fund manager intends to include AA-rated bonds in portfolio, the yields will be higher and so will be the returns in the hands of the investor, albeit at a bit extra risk. A fixed deposit maturing in three years offers around 7% rate of interest. If you look at the post-tax returns, FMP appears to be a better choice than the bank fixed deposits. Returns offered by FMP are taxed as long-term capital gains if the FMP is held for more than three years. Investors are expected to pay taxes equal to 20% of the gains after applying indexation. That brings down the tax liability to minimum. Interest earned on the fixed deposits are added to investor’s income and taxed at marginal rate of tax. That makes the FMP a clear winner for investors in high income tax bracket as against bank fixed deposits. “FMPs offer limited liquidity options. Investors would need to sell their units on the exchange if they need liquidity,” points out Kumaresh Ramakrishnan. FMPs score miserably low when it comes to liquidity as the units are rarely traded on the stock exchanges. If you are badly looking for an exit, you will get it at a steep discount to the net asset value. You have to be prepared to hold on to your investments in FMP till maturity. FMPs invest in bonds issued by corporate entities that come with credit risk. Another factor that puts FMP to a disadvantage is that the fund manager cannot take a rate view in these products as the portfolio is constructed with the rule of ‘buy and hold till maturity’. Can short-term bond funds help? If you are worried about lack of liquidity, but are willing to stomach volatility arising out of interest rate risk you should consider short-term bond funds. “Short-term bond yields are attractive and most of these bonds charge low expense ratios. As they are open-ended schemes, you can sell out if need be. That makes short-term bond funds a lucrative investment option,” says Vikram Dalal, founder and CEO of Synergee Capital Services. Short-term bond funds severely underperformed bank fixed deposits over the past one year. These funds, as a category, offered 4.3 percent returns over the last one year. “Rising interest rates in the economy pulled down the returns offered by these schemes. That made many investors wary of these schemes,” says Joydeep Sen. However, investors tend to ignore that the bond portfolios of most of the schemes are maturing in one to three years. That limits the interest rates risk going forward. “Mutual fund schemes with average maturity range of 1-3 years, will limit the volatility for investors at a time when the yield environment is inching higher. The rise in yields over the last six months have also given an attractive entry point to investors from a medium-term perspective,” says Kumaresh Ramakrishnan. He expects RBI to hike policy rates by 25 basis points in CY2018. Earlier, in June 2018, RBI hiked policy rates by 25 basis points. If the short-term interest rates do not go up much, these schemes can deliver healthy risk-adjusted returns for investors. Investors have overplayed the interest rates risk over the last one-and-a-half years. The 10-year benchmark yield has moved up to 8 percent in July 2018 as compared to 6.18% recorded on December 7, 2016. The short-term bond yields, too, have moved up already and offer an attractive entry point, whereas the interest rates on bank fixed deposits have not moved up as much. Short-term bond funds not only offer better returns but also can be better tools to manage credit risk. “You can keep track of the short-term bond fund scheme’s portfolios. If you see any low-rated papers getting included in the scheme’s portfolio or you see the allocation to low-rated papers going up over a period of time, you may choose to sell and get out,” says Vikram Dalal. If you can stomach a bit of volatility, consider investing in short-term bond funds now. If you are in two minds, you may choose to park some money in FMP and invest the rest in short-term bond funds in two tranches – first tranche now and second around the beginning of the festive season. For the conservative lot, FMP floated by reputed fund houses make sense. This entry was posted in Durig Capital Destressed Debt Hedge Fund, Durig Capital Fixed Income, Durig Capital Fixed Income (FX2) complaints and reviews, Durig Fixed Income FX2 on August 1, 2018 by Randy.